OLD PARKED CARS. 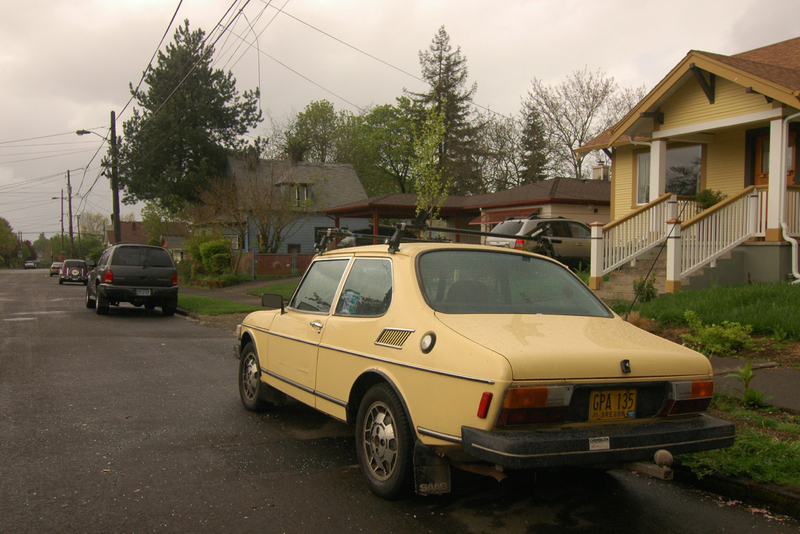 : 1977 Saab 99.
fantastic find, although i confess i like the "chemeketa 90-91" sticker even more than the car. stabbed me in the heart a little. That profile is so funky, but in a sweet way nevertheless. Love the wheels too. Wow, very, very cool. Wonderful shots, wonderful car. 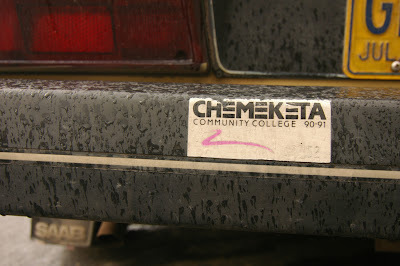 I'm gonna have to google "chemeketa". I wonder where the heck that is? Aren't these cars worth a lot of money now? Love it! It's great it has a trailer hitch on it also. These are getting rarer to find on the road. 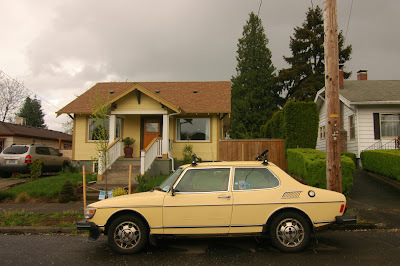 I passed a late 80's 900S coupe the other night and even those are getting harder to find on the road. 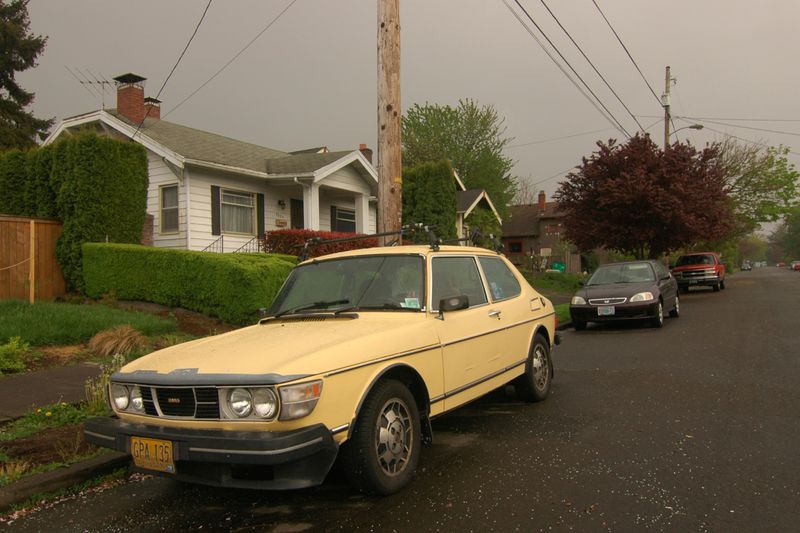 I owned a 88 9000 and a 99 9-3 and both cars were really fun to drive. To maintain a Saab though, not so much fun. If you do own a Saab in Portland, take it to T-Scandia Motors in Tigard....They are the Volvo and Saab masters! That is one seriously awesome profile shot. Color-coded house and car. Chemeketa is the local Valley community college. Also the original Native American name for Salem. I have a 1979, thought these corners/tails were 1978-1980, but the soccer ball wheels fit an older model (tho I have also seen them on a 1978 EMS. Good to see another 99 on N.OR roads!